For many years, we have been performing dentistry using the power of the sun. 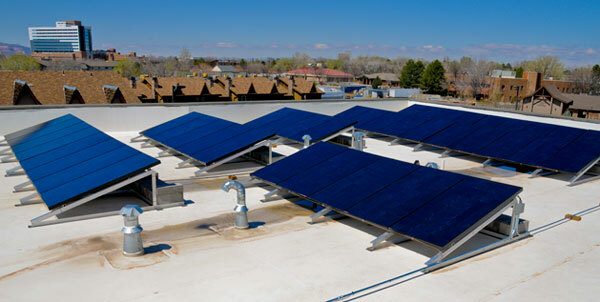 High Noon Solar, a local solar power contractor, installed a 10 KW photovoltaic system on our rooftop in late March, 2009. The system consists of 44 solar panels which generate an average of 1,350 kilowatt-hours per month or about one third of our monthly power consumption. 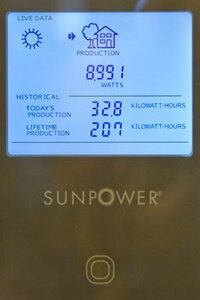 So the next time you’re leaving the office, check out the SunPower monitor (shown here) by Shelly’s desk to see how much power is being captured from the sun.